Animal Defenders International has welcomed a commitment from Labour to ban the use of wild animals in circuses as part of a raft of pro-animal measures outlined in its ‘Pledge for Animals’ launched today. The election pledge follows a similar promise by Northern Ireland’s Democratic Unionist Party, and is confirmation of the growing belief that the Government will fail to keep a 2012 promise to end the use of wild animals in circuses. The ‘Pledge for Animals’ sets out what a Labour Government would do for animals, upholding the Hunting Act and ending the badger cull in addition to protect wild animals from use in circuses. Contact William Hague MP, Leader of the House of Commons, and ask him to allocate parliamentary time to the Wild Animals in Circuses Bill. 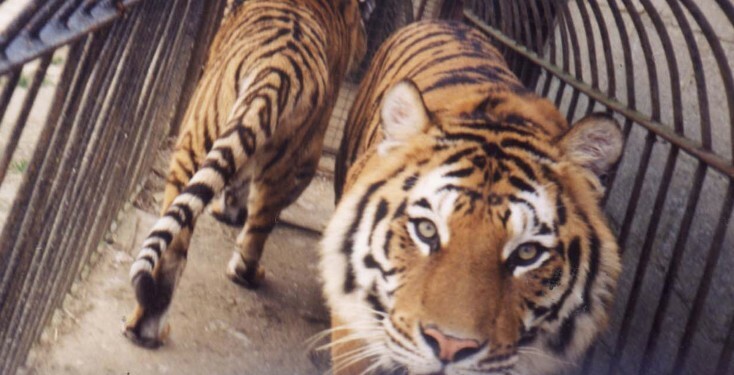 Contact Prime Minister David Cameron and ask him to fulfil the promise to end the use of wild animals in travelling circuses and ensure Parliamentary time is given to the Wild Animals in Circuses Bill. Make a donation – ADI is securing lasting change for circus animals around the world, help us do more! Stop with any animals in circus; other shows with human beings are sufficient! Violence towards animals leads to violence towards humans. No animals should be used in circus’s! come on conservatives show your compassionate side ban the use of all animals in circuses !! Long overdue – stop the abuse now. Animals in circuses — the reason that I have disliked circuses since I was a little girl. Then, I could see no possible justification for forcing those beautiful, dignified creatures who belonged in the wild, perform idiotic tricks to “entertain” the louts in the audience, and I made my uncle take me home. Today it is so gratifying to realize that there is a strong and growing objection to captive wild animals kept in tiny cages and tormented until they run about in silly costumes, or give rides to circus people. It is simply unethical and cruel. Animal abuse in circuses is a complicated and important issue. Circuses themselves hold ages-long traditions, but the attitude towards animals there is unacceptable.